Hi Vis Fluorescent Yellow school PE bag ideal for school sports, swimming or gym clothing and accessories. 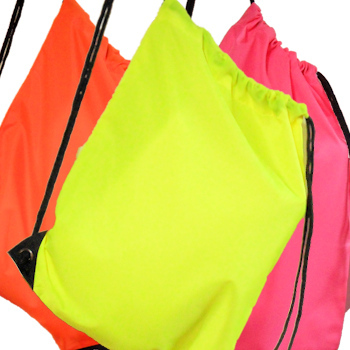 Hi Vis Fluorescent Yellow school PE bag ideal for school sports, swimming or gym clothing and accessories. Nylon lightweight but sturdy gym bag that can be personalised with an embroidered name of your choice. Personalised names using embroidery provide a long lasting finish that is durable and wash proof. Hi Vis Fluorescent Yellow school PE bag ideal for school sports, swimming or gym clothing and accessories. Nylon lightweight but sturdy gym bag that can be personalised with an embroidered name of your choice. Personalised names using embroidery provide a long lasting finish that is durable and wash proof. Select from the options and enter a name or initials or numbers. 45 x 34cm total size, made from quality nylon providing a water resistant and sturdy drawstring bag that is ideal for all sportswear and accessories to be kept together.